A happy winking face. This emoji is the friend of all, the perfect confidant, sharer of inside jokes and overall encouraging soul. Beware, however, of its potential to be flirtatious or even sexual. Happy smiling face winking at you. 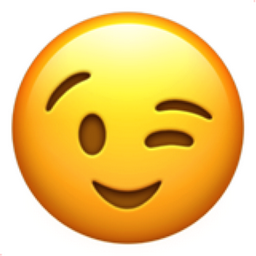 iEmoji old name: WINK!! !